Ranthambore National Park is one of the largest and most famous national parks in northern India. It is situated in Sawai Madhopur district of southeastern Rajasthan, about 130 km from Jaipur, which is also the nearest airport. The nearest town and railway station is at Sawai Madhopur, about 11 km away. Ranthambhore was established as the Sawai Madhopur Game Sanctuary in 1955 by the Government of India, and was declared one of the Project Tiger reserves in 1973. Ranthambhore became a national park in 1980. In 1984, the adjacent forests were declared the Sawai Man Singh Sanctuary and Keladevi Sanctuary, and in 1991 the tiger reserve was enlarged to include Sawai Man Singh and Keladevi sanctuaries. 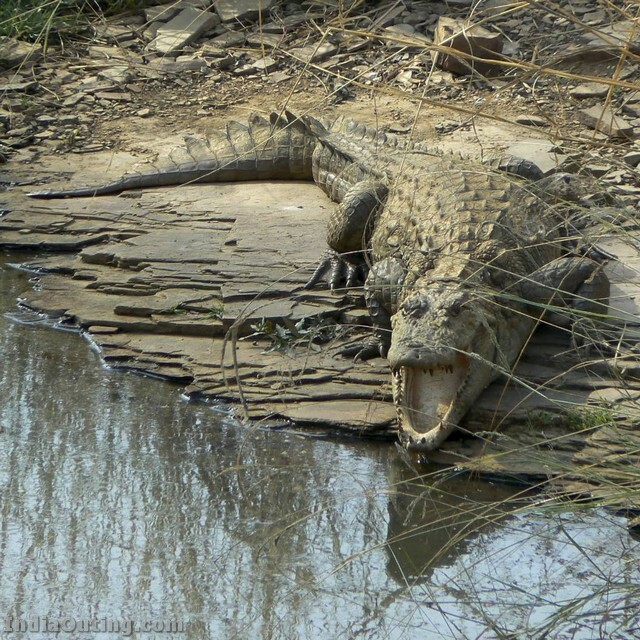 The park lies at the edge of a plateau, and is bounded to the north by the Banas River and to the south by the Chambal River. There are several lakes in the park. 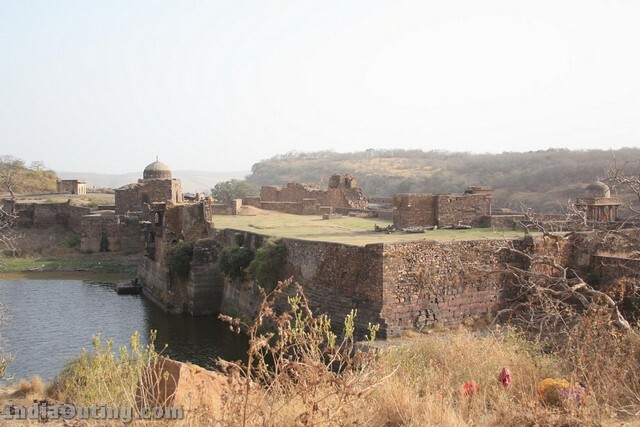 It is named for the historic Ranthambhore fortress, which lies within the national park. The park covers an area of 392 km², and is famous for its tiger population, and is one of India’s Project Tiger reserves. Other major wild animals include the tiger, leopard, nilgai, dhole, wild boar, sambar, hyena, sloth bear and chital. It is also home to wide variety of trees, plants, birds and reptiles. Ranthambore is also the site for one of the largest banyan trees in India. 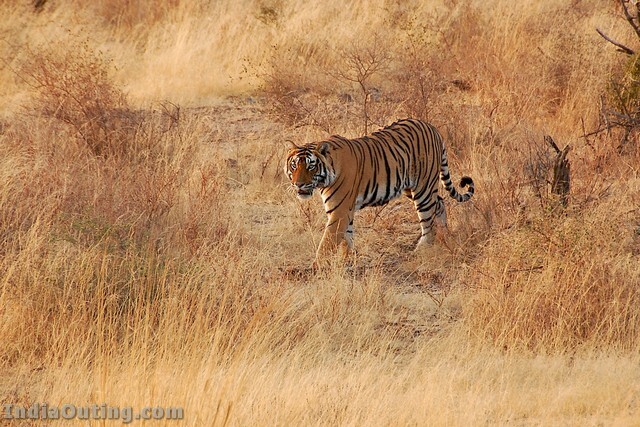 Ranthambore National Park is famous for its Tigers and is a favorite with photographers. For a relatively small area, the park has a rich diversity of fauna and flora – species list includes 300 trees, 50 aquatic plants, 272 birds, 12 reptiles including the Marsh Crocodile & amphibians and 30 mammals. 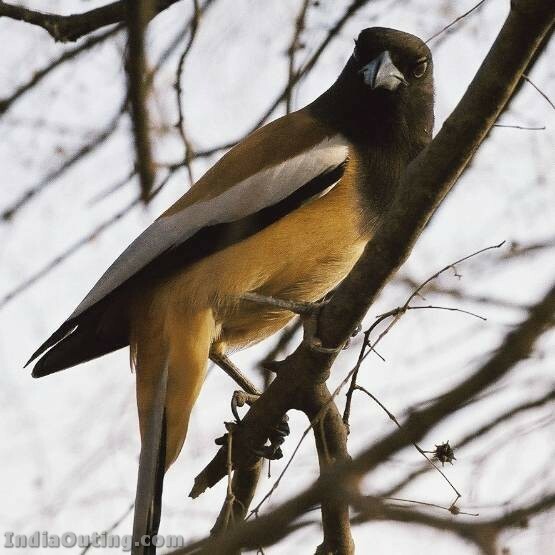 For the wildlife savvy, Ranthambore wildlife sanctuary today offers an intense diversity of flora and fauna. Tigers, the park’s pride makes it one of the best places in the country to observe them. Apart from that a large numbers of Sambar, Chital, Nilgai, Gazzelle, Boars, Mongoose, Indian Hare, Monitor Lizards and a large number of birds. The landscape is dotted with ancient Banyan Trees, Dhok & Pipal trees, clusters of mango trees and crisscrossed with evergreen belts. The terrain is made up of massive rock formations, steep scarps, perennial lakes and streams and forest suddenly opening up into large areas of Savannah. 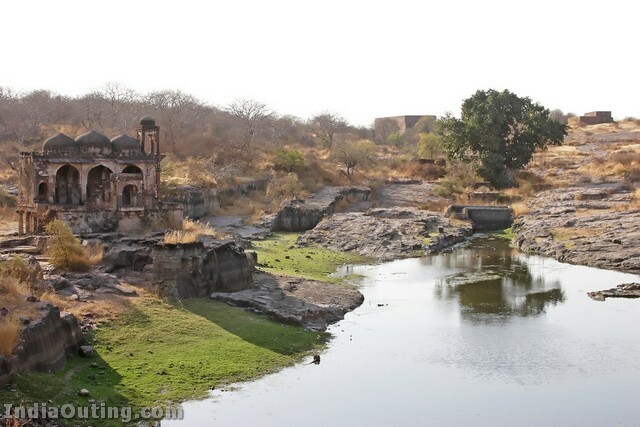 The terrain of Ranthambore Wildlife Sanctuary fluctuates between impregnable forests and open bush land. The forest is the typically dry deciduous type, with Dhok, being the most prominent tree. 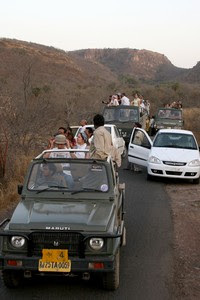 Ranthambore National Park is open from 1st October to 30th June (July – September closed to visitors). A good time to visit is between November and May when the nature of the dry deciduous forests makes sightings common. 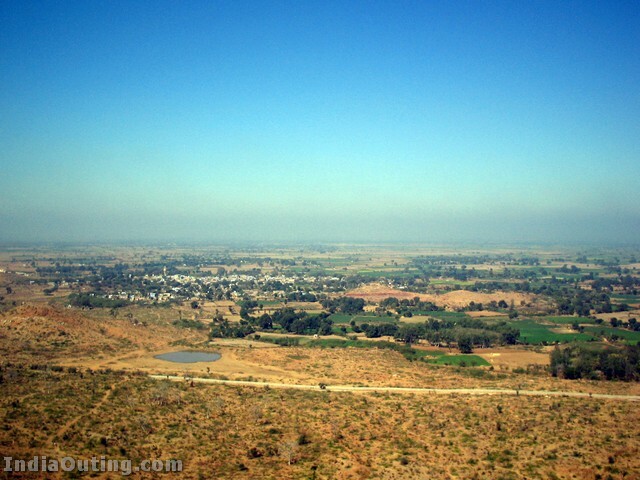 Nearest Town is Sawai Madhopur, situated on the Delhi-Mumbai railway line and also linked with Jaipur and Agra by rail. Near by Airports – Jaipur and Kota. At the entrance to the park you will have to pay ONLY for usage of your video-camera. Foto-cameras are used free of charge. 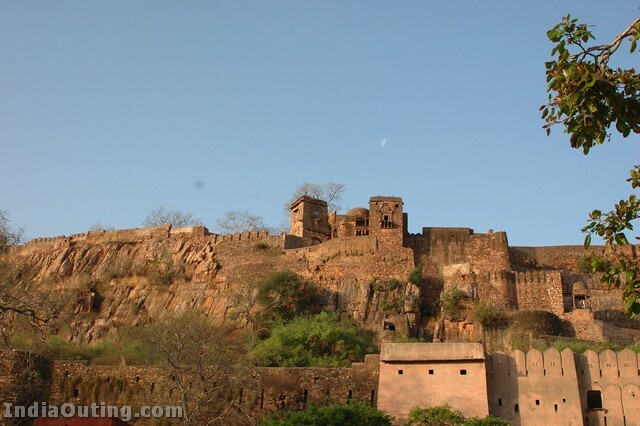 Ranthambhore Fort, (13 Km from Sawai Madhopur Railway station). 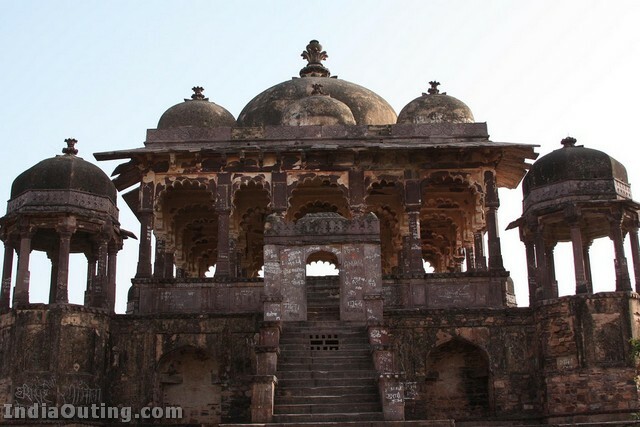 Founded in 944 and initially named “Ranath Bhawar Garh” which means “a place of Rajput warriors”. Take all the safaris you can (in the morning at 6:30 and in the afternoon at 14:30). You need a certain amount of luck to see a tiger (about 1 in 4 chance), but there are plenty of other wonderful sights. It is better to book the safaris while booking your hotel. You can go to the safari in wheel drive jeeps called “Gypsys” (which seat up to 6 visitors) and 20 seater safari buses called “Canters”. Jeep safaris cost a bit more, but jeeps are more mobile and everything is better seen from them. At the entrance to the Park your guide goes to the drawing procedure in order to get one of several roads you will be allowed to drive (since the park is a nature reserve only a limited number of cars can enter it and they are obliged to follow only one route). A good guide asks also a representative of the tourist group to be present at this procedure. 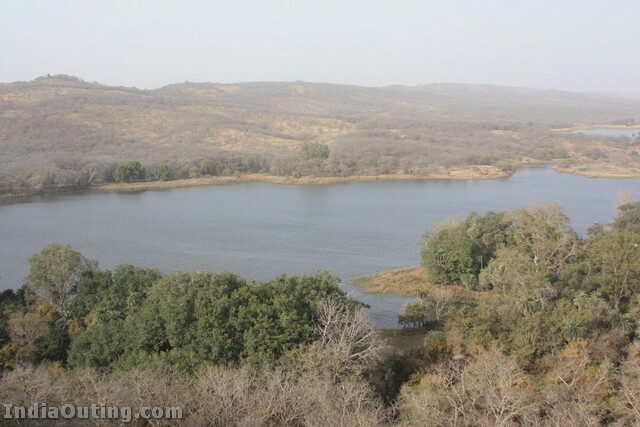 Ranthamobore sanctuary is a national heritage of India. It must be preserved at all costs. Thank you for the natural zoo. Believe its long I receive an update from Priya. Seen in a board that I can see you at Ranthambhore. Will make a trip somehow. Bring more of incredible India. The snaps of bird and tiger are lovely. Thank you again. i love the whole places of rajasthan. 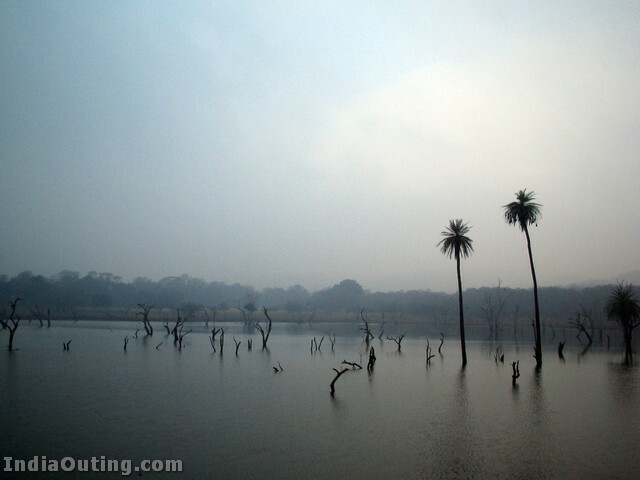 In the month of Jan 2009 i visited to Kanha National Park ,It is very excelent I want to visit Ranthambore in Nov. This is proud of our country. Me and My Wife was Gone in May Month for Visit Ranthambore. I was feard to see Careless of Forest Ranger & govenment, There was no enough water fot WILD ANIMALS and the Temp Was arount 45* C.
But I Advise to all Visitor If you Go there Please Visit Lord GANESHA Temple. Its is many 1000 yrs Old. In The folksong people says that Lord Ganesha Protected The SAWAI FORT. if you Tired, no matter Just go to temple. You Will Feel a New & Fresh Energy in your Body And Mind. It is relaly wonderful to see and enjoy, thaks dear, keep updeting. It is matter of fact that who should preserve this nature from all sorts of damaging. Whole of Rajasthan is beautiful. It’s wonderful place to see. All sens r beautiful lovely pl.sed me more pictuers Thanks….. I WANT TO GO THERE……..
ranthombher k saath ganpati mandir ke photo graph bhi jodana chahiye tha. photo graphes bahoot khubsurat he. Rajasthan is a beautiful state and treat the visitors as respectable guest. Though the entire state is amazing land for its vivid colors, Ranthambore National Park is wonderful place to experience and enjoy the wild life. Kudos for wise selection of really a interesting place worth experience. being a rajasthani , i still to visit historic place of the rajsthan . I know this the one of the finest sanctuary in the world . Visited Sawai Madavpur and Ranthambhor several times as a wild Life Photographer.It is one of the Great Santuaries in INDIA. so the work presented is wonderful and knowledge able. very nice national park.every can see the park. VERY INFORMATIVE.WE LOOK MORE FOR SUCH FORWARDS…. A Great site of Rathambore National Park. Look forward to more such mails. Ranthambore ( and almost all natural reserves) are worth to see. Important is that they should be protected by public with morality and also it’s responsibility of government to make special laws to protect them at any cost. It’s my strong wish that instead of spending money on statues, memorials and any FALTU works , the funds should be diverted to these cause, because we cannot make or create it even if we wish. It’s god gift. Other thing we can make at any time. can’t go there but these pictures will suffice. Rophika our fondest good wishes for a prosperous 2011. Its amazing. i want to visit this national park. Thanks to send these pix. Exciting place to visit, will do some time. been there once.. unfortunately cudnt spot a Tiger.. 🙁 .. but lovely place.. Thank you Miss PRIYA for the natural zoo. Thank you,Ms.Priya,for sending me this wonderful link. I have just returned from a tour of lovely Rajasthan during the 3rd week of Dec 2010. As i could not cover all the places,i have promissed myself to make another visit.I will include Ranthambore/Sasirka/Bharatpur next time. 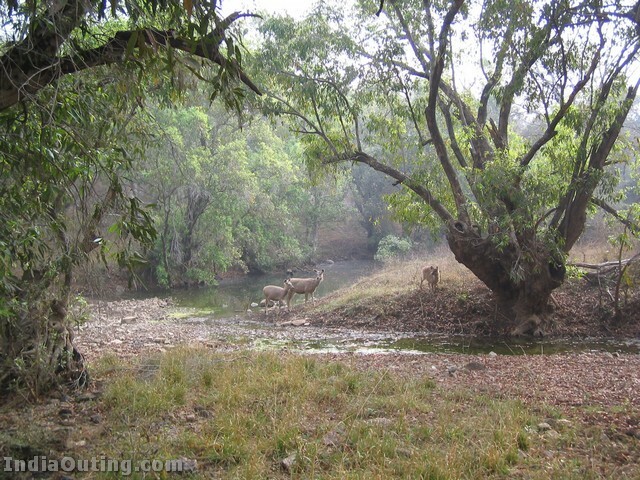 Thanks for sending these awesome picture of Ranthambhor National Park. Excellent and Thank you guys. Great place to visit, it is exciting to watch the tigers in their natural habitat. I Think Ranthambhor is the Paradise for wild animals. I specially like all photo snap and planed to take a trip very soon. All pics are a treat to sore eyes. In one word they are beautiful. I did take an extensive tour of following places, i December~January,1992. 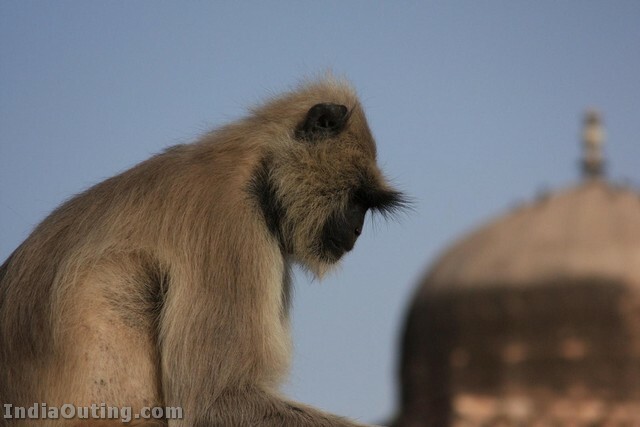 That included Kanha~kitchli reserve forest, Mandu,Panch mari, Bhem bhatka, etc. Experience was just wonderful. I wish I had a mordern camera and could share pics of those places. My plans are to visit rest of the three reserve forests along with Gwaloir, etc. sometime next year winter. Till then have to wait to hear my experience of that trip. nice photo i like it. Thank u Priyanka ji, nice glad 2 c these snaps. This heritage site is really wonderful. thank you Priya for sending so nice photograph of this. Plese join also Save The Tiger campaign. Its a request. Seeing the presentation above, have decided to visit at the earliest. Thanks for a nice input. Please send briefings on other places as well. Outstanding photos of flora and fauna scenery. Very good..
Its very nice to see priya…………. Really it is beautifull pictures. I like it very much. Thanks a lot for forwarding the such pictures. The photos are really nice, and I can understand the beauty of this place as I belongs to Assam State, where 2 nos. of National Parks are there one is the famous “Kaziranga” National Park which is known for its one horn rhino and another is called “Manas”.So those are some nice parks we have in our country. so keep it up and take more photos. mera pyaraa RAJASTHAN. I am proud of it. WE SHOULD DO SOMETHING FOR THE SAFETY OF OUR TIGERS. Thank you for bringing the park to my vision. Its one of the old heritage of India. Nizam HM, Colombo 03. Awesome, I like to be there for Sure. Thanks Priya once again. Thanks,got information about a good place to visit… I’ll surely visit someday..
this is so beautiful! its always been my dream to visit my home country(i have never been to india) and when i finally do, i will surely visit Ranthambore national park. Thanks Priya for this fab mail. Thank you for the natural zoo. 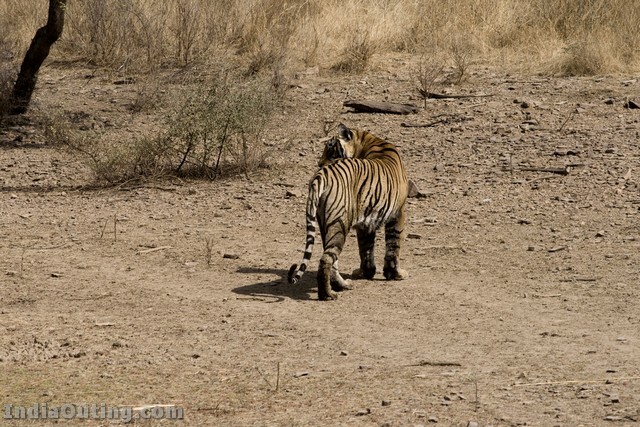 Believe its long I receive an update from nalini Seen in a board that I can see you at Ranthambhore. Will make a trip somehow. Bring more of incredible India. The snaps of bird and tiger are lovely. Thank you again. very nice photos ranthmbor is heart of Rajasthan & best tourist place. Very much pleased to see the natural photos of the forest and wild animals as well of old monuments.Thinking to visit somewhere in the month of March 2011.
appreciate your passion, simply great, keep it for us. great passion, please keep going. i have to visit this park it is very nice place, and it is very beatiful pitchers.thank for the sending. Wild Beauty at its best. dear priya ji, you are doing wonderful job thank you. sasidharan.dubai. upm. Very attractive.Feel like visiting at the earliest opportunity. IT’S VERY INTERESTING AND A GOOD GUIDE ALSO . THANK YOU. 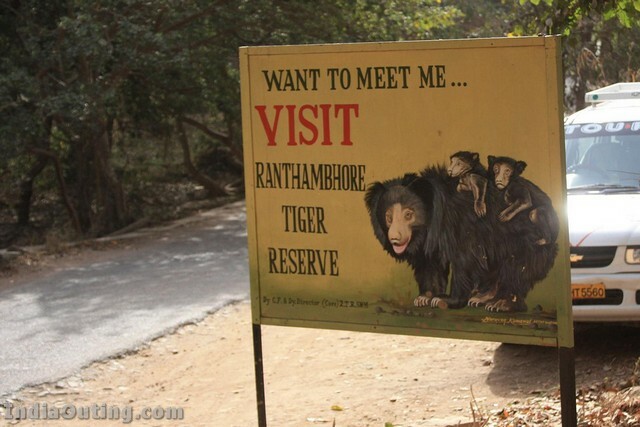 Folks, Just visited Ranthambore. Let me tell you straight. You will not see any tiger. The canter ride is just a fake tiger sight seeing ride. Tigers are not waiting for us to see them. Several canters go to the santuary. People getting into the sanctuary are excited. People returning have a long face. So, donot go there hoping to see tiger. But there is a very good fort and that is worth it. I went there on Dec.22,2011, I feel that my dreams are become true.. I saw there Tiger..LIVE.., I am very Lucky, also saw there Deer,Lots of Monkeys…,Ranthambhor Fort,Shiv Mandir,Ganesh Mandir and lots of fun. dear friend… please go there ones in life..sure..
a verry verry supereb and very beautiful i want to see this type of more images. Amazing places, I really admired. So beautiful is the MOTHER NATURE. All God’s creations. pure and pious no adultration any where.All live lifes with happiness no greed,jeaolacy. good info buddy……….thanks and keep posting…..
so many other creatures to live “i.e. live & let live” which we are forgetting. The next generation may have to see only photos and enjoy the beauty of nature. Govt. has to take steps to preserve it and we should co operate with them.